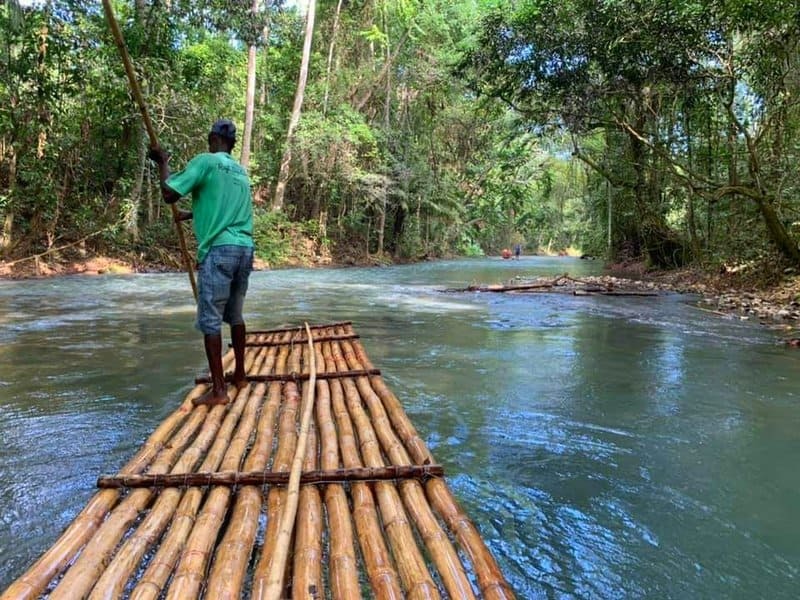 Park at the Martha Brae Rafting Village and get on board a thirty-foot long bamboo raft in the Martha Brae River. 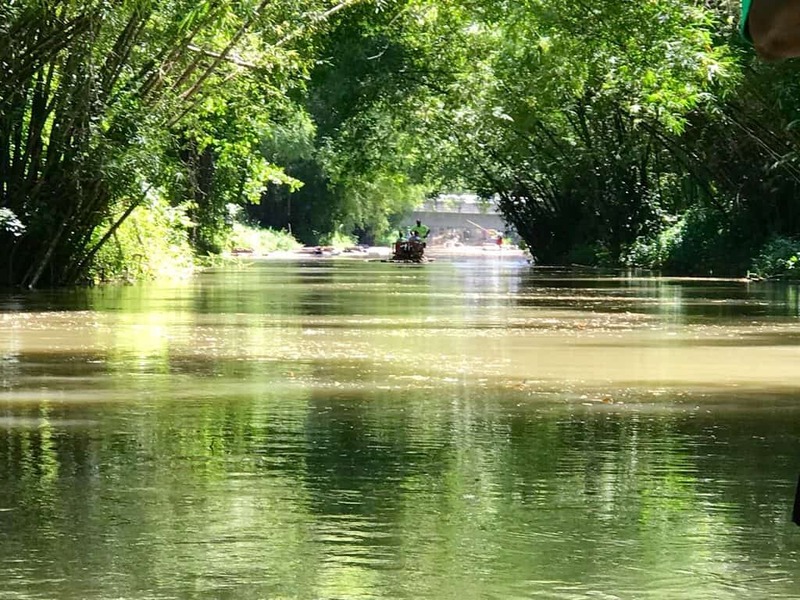 You’ll be steered downstream leisurely by an experienced raft captain as you gaze up at the lush green tropical rainforest-like canopy overhead and admire the beauty of the river and tropical plants on its banks for an hour. This is the epitome of laid-back island living. I loved this Montego Bay excursion and it is an absolute must! The Rose Hall Greathouse is a commanding nineteenth-century Georgian-style mansion overlooking the Caribbean Sea. Besides its imposing beauty, what attracts visitors to the mansion is its sinister past. Former owner Annie Palmer was a cruel slave owner and sadist lover. Her ghost is said to roam the house to this day, and the best time to visit the mansion is after dusk for the Haunted Night Tour. The faint-of-heart may explore the imposing building during the day instead. If you take the night tour, don’t indulge too much in the witches’ brew to steady your nerves since you’ll need to get home safely afterward. I hope you enjoy this Montego Bay excursion as much as I did. 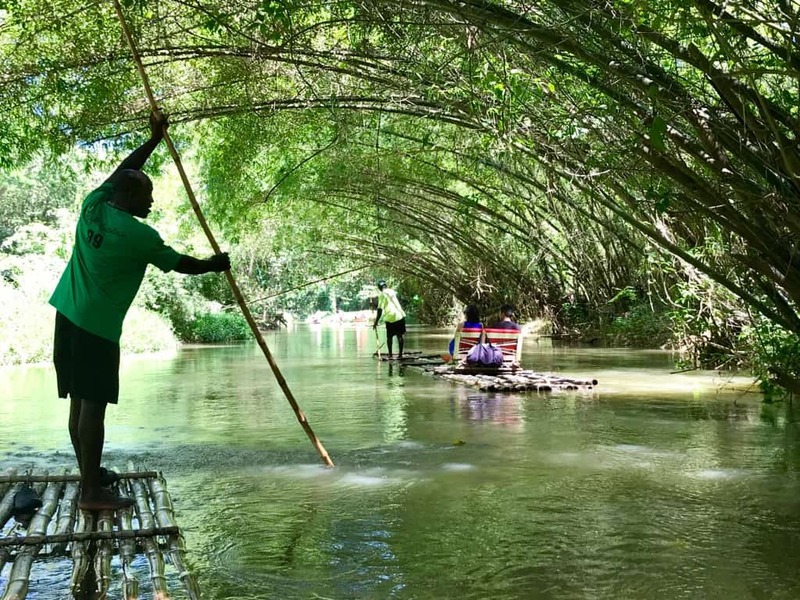 Ninety minutes’ drive from Montego Bay lies Seville Heritage Park, another historical landmark which concisely and accurately relates Jamaica’s history in an enjoyable hour-long tour. The site marks the location of one of the first encounters between the Old and New World. It is here, where Christopher Columbus introduced the Americas to Europe. The history of the clash of cultures that followed, for the indigenous people, first from the Spanish then later the British and West Africans makes a visit to Seville a must-have experience. You will enjoy this Montego Bay excursion. Hummingbirds seldom stay still long enough to be photographed, let alone perch on a human finger. Yet, that’s exactly what happens at the Rocklands Bird Sanctuary. The original owner of the premises made this remote location her home and took daily strolls through the surrounding land admiring the birds and plants. Eventually, the birds grew familiar enough to follow her home and since then, the generations of birds at this property, have interacted closely with humans and today would sit on your finger for a drink of nectar from a bottle. 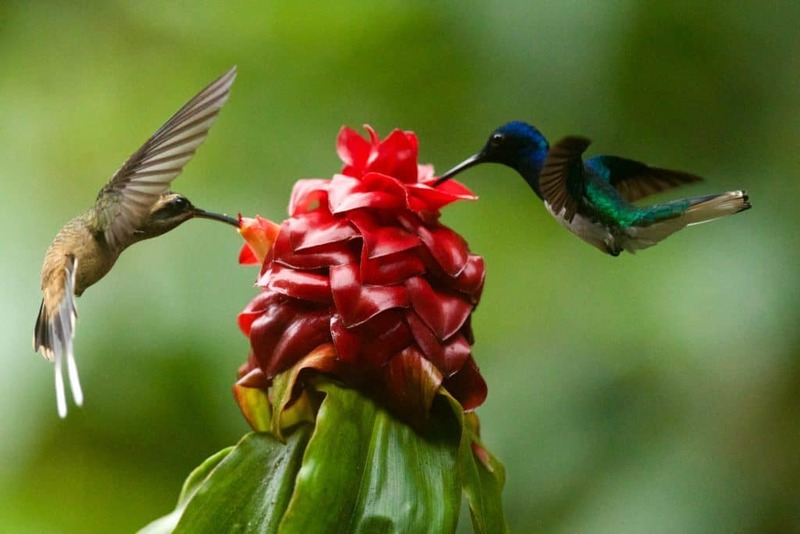 Twenty-minutes’ drive from Montego Bay, the ride up the mountainous road to get there is somewhat bumpy but the delightful experience of feeding the hummingbirds by hand definitely makes the journey rewarding. You will enjoy this Montego Bay excursion. 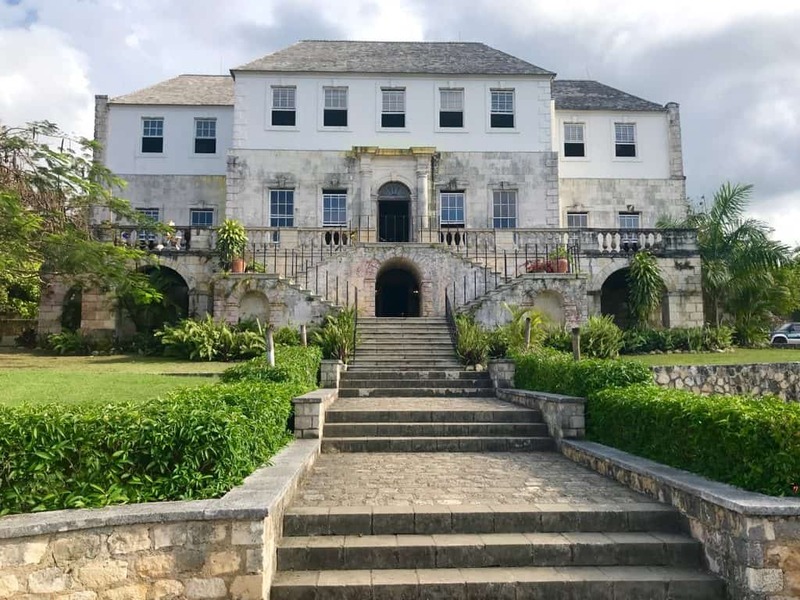 Good Hope Estate is a former sugar plantation which has been renovated by Chukka to offer a whole day’s worth of cultural, adventure, culinary, nature and water activities. Located in Falmouth, Chukka Good Hope boasts over 2,000 acres of lush plants, panoramic views of the cockpit country, the majestic Martha Brae River and a historic Great House. There are also things to do like ATV riding and dune buggy adventures, river tubing, three swimming pools, and a 300-foot slide to create lifelong memories for the entire family. I loved this Montego Bay excursion. An hour’s drive from Montego Bay leads to the Green Grotto Caves, Jamaica’s largest cave system which blends ecotourism, soft adventure, and history into an enthralling 45-minute tour. The caves secret passages and caverns have played a pivotal role in Jamaica’s history and have been used for different purposes by Jamaica’s various inhabitants over the centuries. Today, this green globe certified network of caves and its innermost grotto are virtually untouched despite the tourists which crisscross its floors daily in addition to the creation of footpaths, stairs, railings and soft lighting for safety. i did not get a chance to do this Montego Bay excursion, so always a reason to go back to Jamaica. Discovering Jamaica at your own pace with a self-driven vehicle has never been easier. 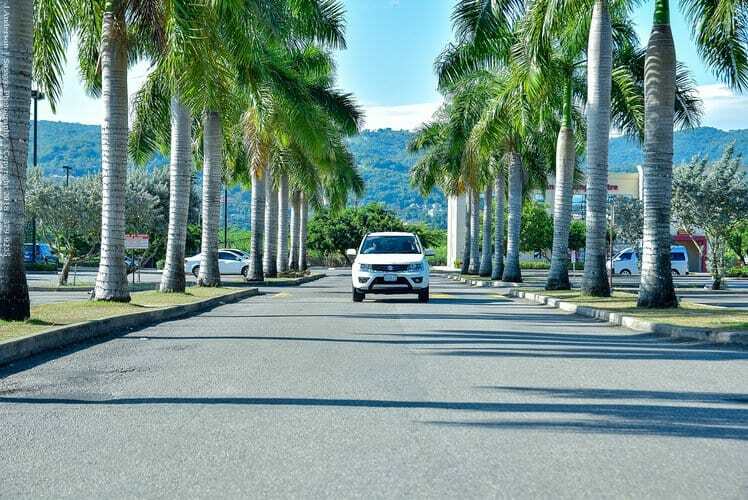 If you are planning to leave the beaches behind, then check out the award-winning Island Car Rentals with offices at Jamaica’s two major international airports and one in New Kingston. You can book your preferred car, hassle-free here. They have the largest, well-serviced fleet on the island, with 1,500 vehicles of all types and sizes. If you’d rather someone else do the driving, Island also has a range of services to satisfy individuals and groups in both the leisure and corporate markets, making Island Car more than just a car rental company. Now, go out and enjoy these Montego Bay excursions! Disclosure: As is common in the travel industry, I was provided with accommodations, meals and other compensation for the purposes of review by Blogilicious. While it has not influenced my review, PointsandTravel.com believes in full disclosure of all potential conflicts of interest. All Photos were taken by the author/or were given permission by the photographer. Affiliate links are located in this article. I wish I could visit Rocklands Bird Sanctuary someday because I love birds so much 🙂 The idea of feeding those little fluffy beauties from hand brings a smile to my face, so thanks for the heads up! I am sure one day you can make it there and do just that! I read this post fully, it’s an awesome article!